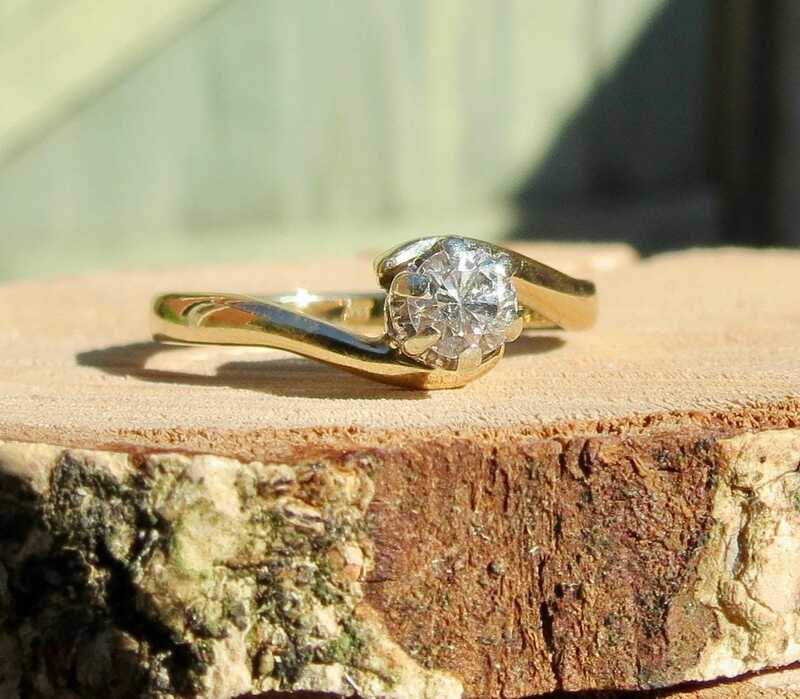 A vintage 9k yellow gold diamond solitaire crossover ring. 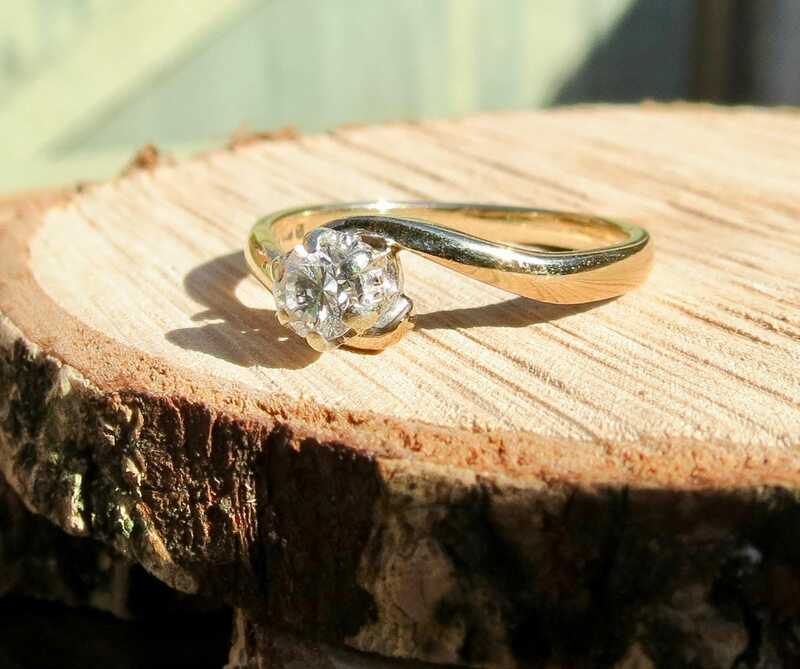 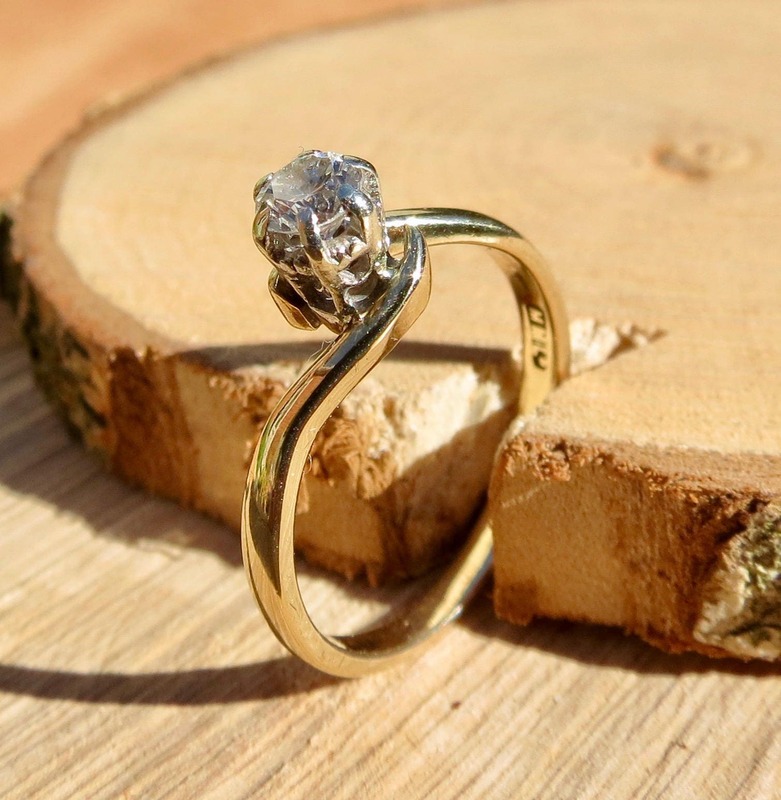 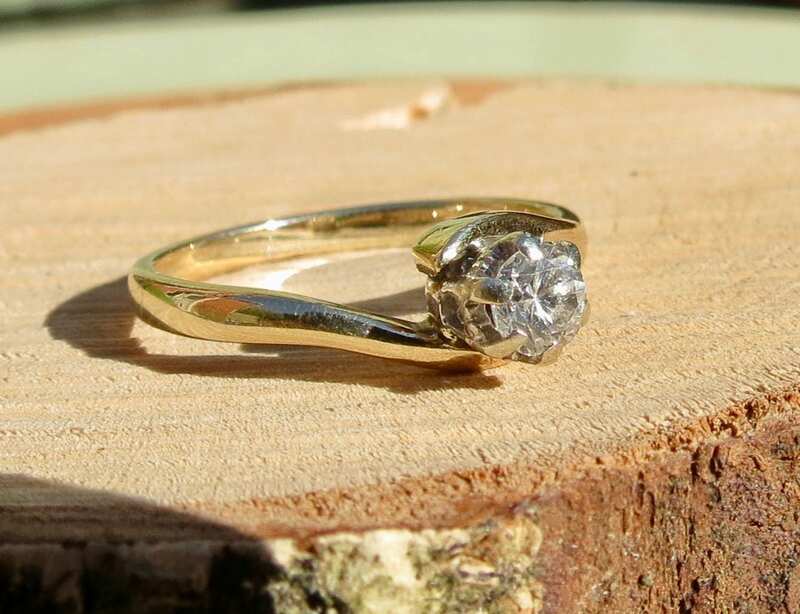 This 9k yellow gold ring has a 1/5 carat brilliant cut diamond solitaire set in a claw and crown setting, the turned shoulders lead to a plain shank. 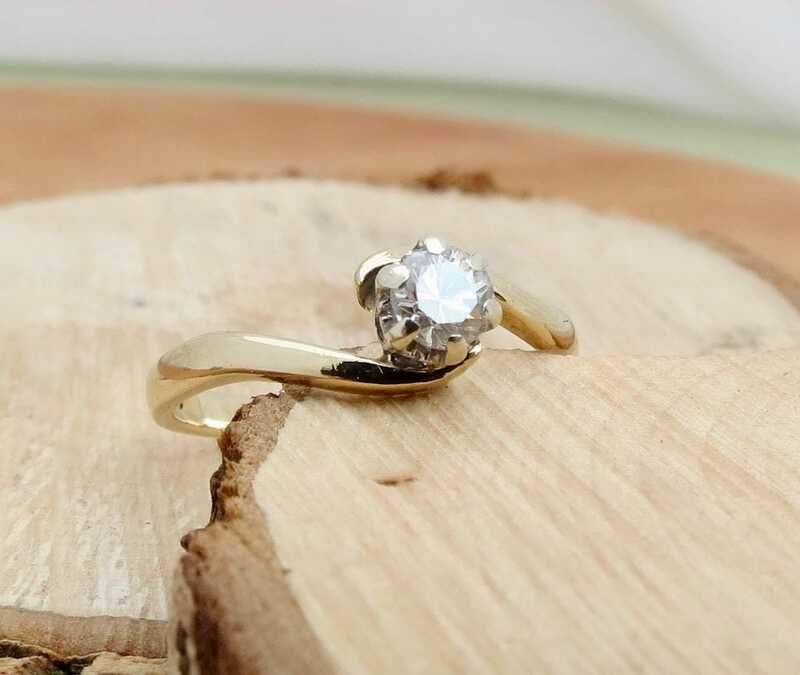 The diamond in this vintage ring is in mint condition, no chips or scratches.